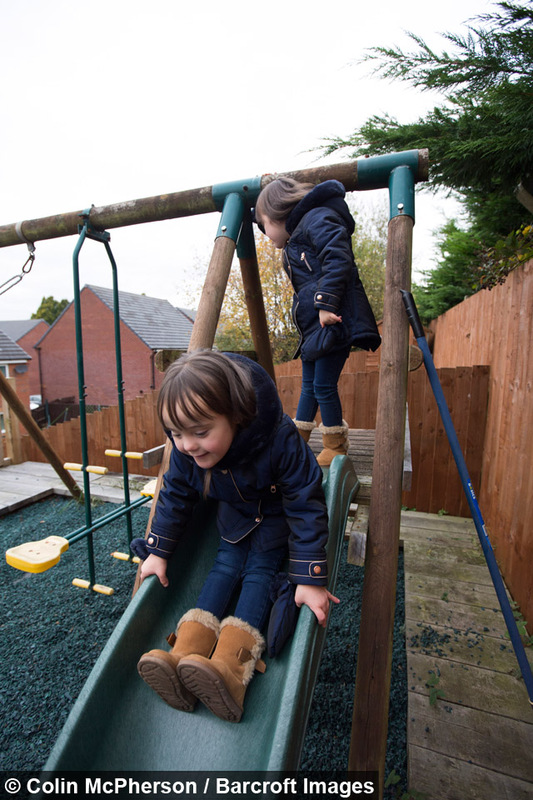 IN MATCHING blue jeans, white smocks and suede boots, five year-old identical twins Abigail and Isobel are not only impossible to tell apart - they’re also one in a million twins. Because while the chances of giving birth in the UK to a baby with Down’s syndrome is approximately one in 1,000, the odds of giving birth to identical twins with the condition is one in a million. 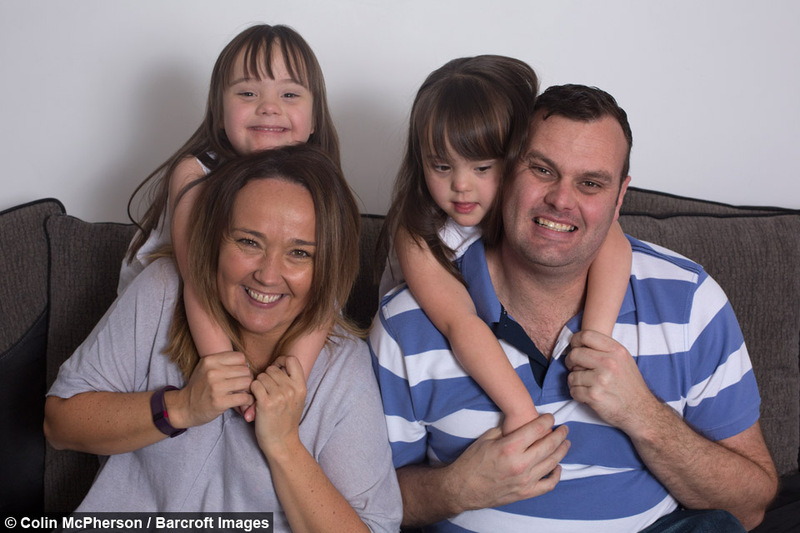 Mum and dad Jodi and Matt Parry couldn’t be prouder of their daughters and say even if their adorable girls could be born again without Down’s syndrome, they wouldn’t wish for Abigail and Isobel to be any different. 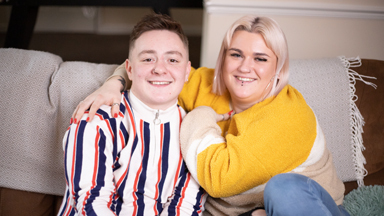 Jodi said: “When they were first born we grieved when we found out they both had Down’s syndrome but now we wouldn’t change it for the world. Matt, who works as a civil servant, said: “I don’t care how many chromosomes they’ve got. I don’t care about the biology and the science behind the downs syndrome. It doesn’t matter. Brother Finn, aged eight, is his sisters’ biggest cheerleader: He said: “My life wouldn’t be the same without them. Down’s syndrome, or Trisomy 21, is a genetic condition caused by the presence of an extra chromosome 21 which can cause physical disability as well associated problems with hearing and vision, congenital heart defects (Isobel was born with a hole in her heart while Abigail wears a hearing aid), thyroid problems and mild to moderate learning difficulties. Jodi said: “Obviously they have a lot more hospital appointments and routine check-ups. They’ve got an underactive thyroid so they have a blood test for that. Taking two children to hospital is a nightmare just because you’ve got two! A controversial screening is being introduced this year, allowing parents to detect in pregnancy if the unborn child has Down’s syndrome. The NHS claims the non-invasive prenatal test (NIPT) offers a 99% accuracy of detection. Private clinics and certain NHS trusts already offer the NIPT but it will now become much more widespread. 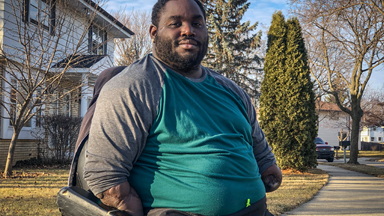 Between 2011-2013, there was a 17.8% increase in abortions for Down’s Syndrome and Matt and Jodi are concerned that without balanced advice alongside the NIPT, the number of terminations could increase. 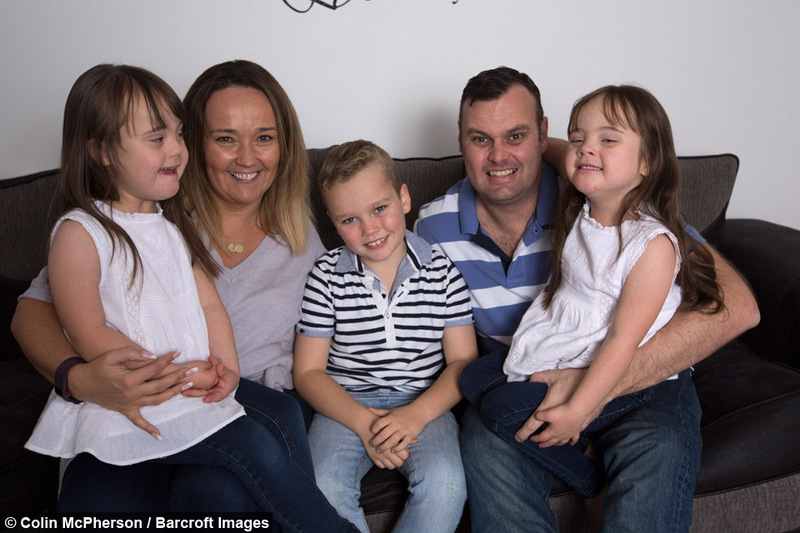 Jodi said: “When Down’s syndrome is diagnosed prenatally it comes with: ‘This child has got Down's syndrome, you can have a termination within the next 10 weeks’. And that is kind of heart-breaking. 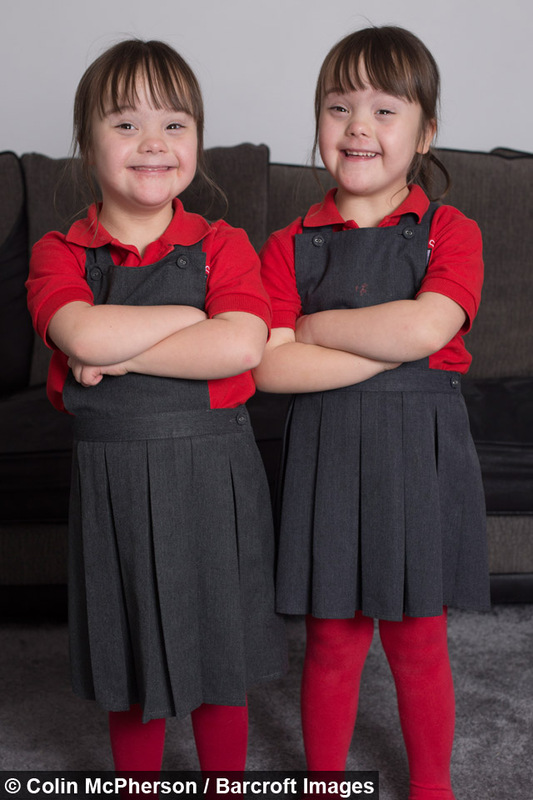 The couple, who live in Chorley in the north of England, have created a charity called Twincess to try and highlight the positives of having children with Down’s syndrome. 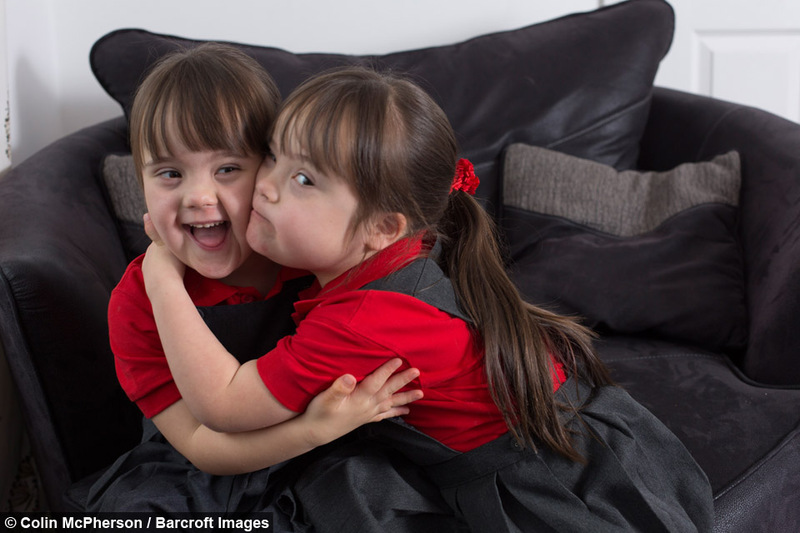 Jodi calls Twincess “a celebration of Down’s syndrome” and a way to “dispel any myths”. 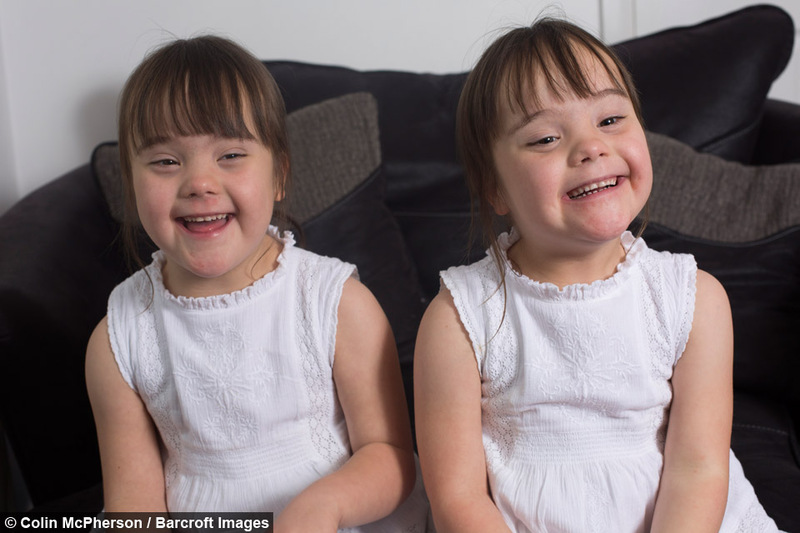 While Matt and Jodi have embraced the extra chromosomes that have helped shape Isobel and Abigail’s personalities, Matt admits that when they first learnt their twins had Down’s syndrome, they were devastated. He said: “I don’t think I will ever forget that day. It was as if the whole world had ended. Life was not how I wanted it. Because she was expecting identical twins, Jodi’s pregnancy was classed as high risk and she was scanned regularly throughout the pregnancy. 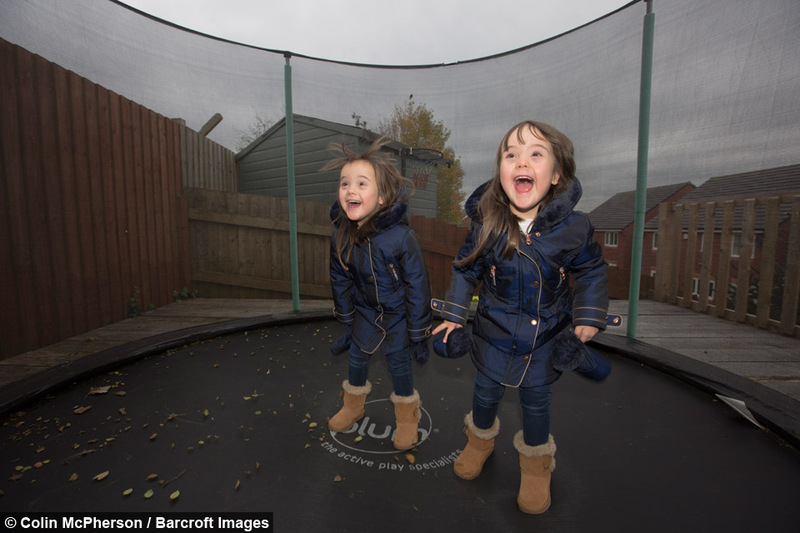 The twins were born prematurely and spent four weeks in the neonatal unit, where doctors told the Parrys the twins would be tested for Down’s syndrome. 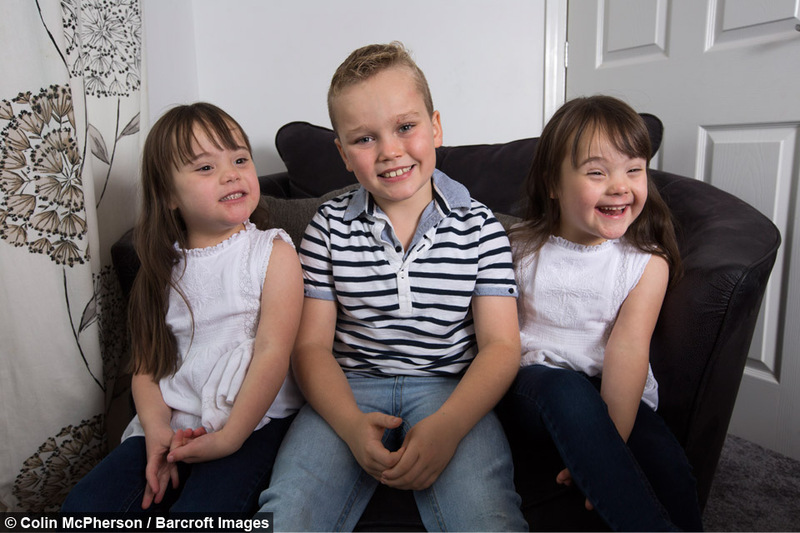 Jodi said: “When the doctor took us to one side to give us the results, he said he was sorry that Abigail and Isobel had Down’s syndrome. To this day I’ll never know what he was sorry for. The girls now go to mainstream school, where they mostly communicate by sign and Jodi says the girls are thriving. She said: “They love school. Their main communication is by sign but the girls’ speech improves daily. “Abigail is probably a little bit more behind in her speech because she suffers with her hearing. So when she is at school she wears a hearing aid. They can both say their own names, mummy, daddy, and Finn. 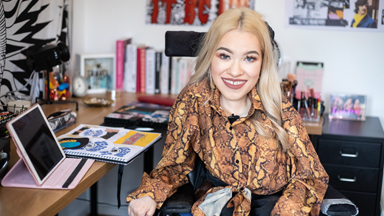 “I’m not going to say we’ve got great expectations, that we think they will be the first person with Down’s syndrome to be a chartered accountant or anything like that.